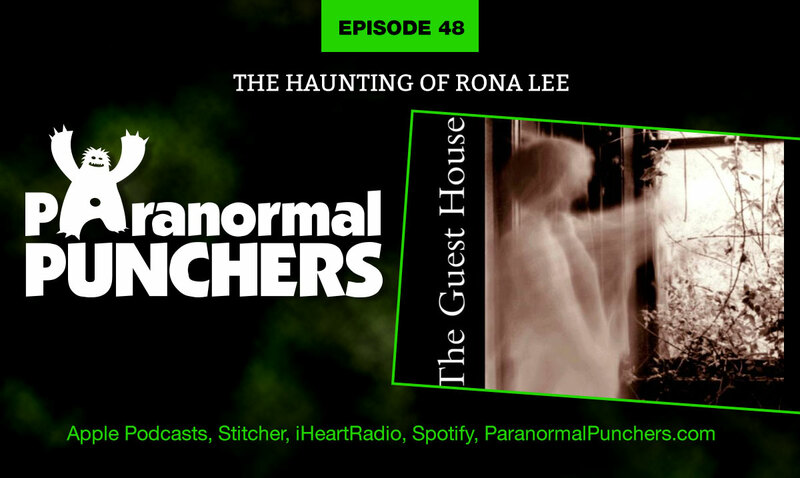 On this episode we talked to Rona who has experienced many paranormal things in her haunted home. When she first purchased this house, most of the things that happened at that time were to her son, but it wasn’t until he left for boot camp in 2005 that things really picked up. Doors would open and close on their own, tv’s would randomly get turned on, a rocking chair would get moved around, and the chimes on her clock would go off even though it hadn’t been wound up. One particular instance that unnerved her, was when she found her dog growling in the basement staring up at a corner of the ceiling. Because of what she has experienced, she believes that, just like the living, ghosts have different personalities. Some are helpful, benevolent spirits, and some can be really annoying. She has even been able to provide her paranormal insight for others. We also play a few of her EVP’s that she has been able to capture in her home. They are really interesting, and you will even pick up a few children’s voices! Join us on this special Halloween episode as we hear about Rona’s paranormal experiences, some more listener stories, and another edition of Dylan and the Blue!